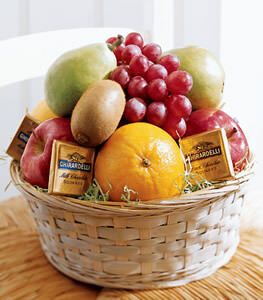 Send a basket packed with a mouth-watering array of seasonal fruits and chocolates. Appropriate for any occasion and sure to be a welcome gift. Note: Same day delivery for this item may not be available in all areas. Thanks very much, as it happens they were delivered pretty soon after I sent that email.They were lovely, thanks very much for the great service!